The city of Kempten is located in the Oberallgäu region in Bavaria, which is inhabited by approximately 153.000 people. Already, about 33 % of the electric energy consumed within the city of Kempten and the Oberallgäu region is produced from renewable energy sources – mainly run-of-the-river hydropower and solar energy, but also from biogas and wind. As a service partner of the City of Kempten, the Allgäuer Überlandwerk GmbH (AÜW) – regional utility and consortium partner of the ELSA project – is involved in the planning and development of the residential area called "Auf dem Bühl”. This district, which is one of the six ELSA pilot sites, consists of six multi-family houses with a total of 81 apartments. On three of the six houses, the AÜW installed rooftop solar panels (37.1 kWp) that provide electric energy directly to the houses’ residents. Behind the doors of this transformer station, six decentralized small- and medium-size batteries are installed, all of which belonged to Renault Kangoo electric vehicles. Together, the batteries have a capacity of up to 95 kWh. The battery packs are connected to the rooftop photovoltaic system and are managed via the ELSA Energy Management System. The main goal of the pilot site in Kempten was to maximise the district’s self-supply with PV electricity and to mitigate the difference of PV power and electricity demand fluctuations. The batteries allow that the locally and ecologically produced electricity does not have to be used right away. If the local electricity production exceeds the current consumption, the electricity is stored in these shared storages. 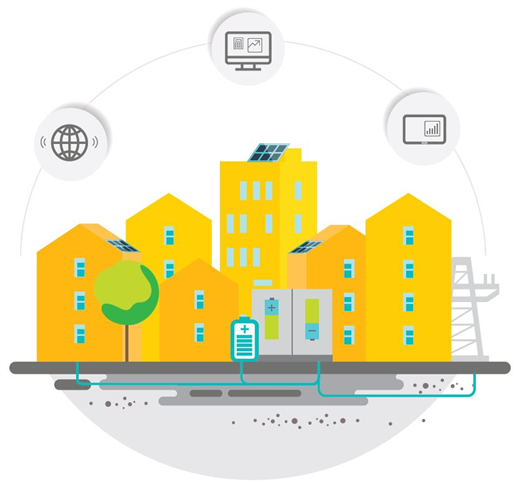 As soon as the demand is higher than production, the connected customers are supplied with the electricity from the storage. The Allgäuer Überlandwerk (AÜW) is one of ten ELSA consortium partners and responsible for the project’s pilot site in Kempten (Allgäu), Germany. AÜW is the biggest regional supplier of electric energy services in the Allgäu. As a partner in different projects regarding renewable energies and electric mobility, AÜW tries to be in the front line to support and participate in the latest ideas and developments of these future technologies. 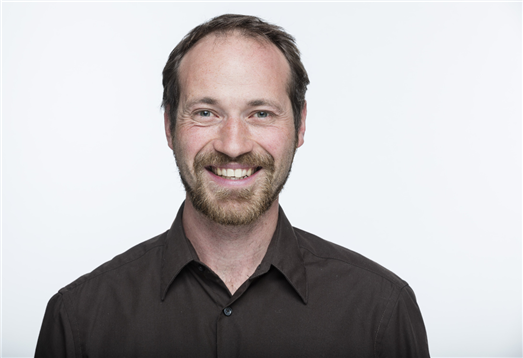 Christian Ziegler is an AÜW project manager and part of the ELSA team in Kempten. What is the special focus of the ELSA pilot site in the City of Kempten? 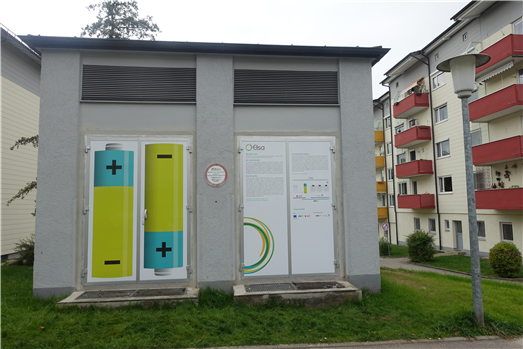 At the pilot site in Kempten, we want to show that the ELSA battery storage system can be used for entire building complexes rather than single-family houses. We also investigate the usefulness of the services offered by the ELSA battery storage system for the grid as well as a residential area. At the pilot site in Kempten, we do not only work with commercial customers, but directly involve private consumers. By installing a battery storage system for the district "Auf dem Bühl”, we hope to be able to increase the district’s self-consumption of electricity produced from local renewable energy sources. Also, we aim at investigating the advantages that installing a battery storage system offers to the electricity grid – e.g. grid stabilization and reducing the need for grid enhancement. We chose to trial a storage system based on second life batteries, because we believe that using second life batteries will reduce the system cost as well as its environmental impact. That way, we hope to have an attractive product ready for our business customers at the end of the project.